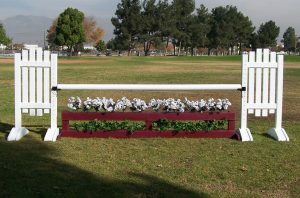 The Burlingham Sports Brush Boxes have a traditional design of a free standing box that creates an attractive way to fill any jump. With the realistic look of wood but lightweight mobility, this brush box is an important accessory to any course. 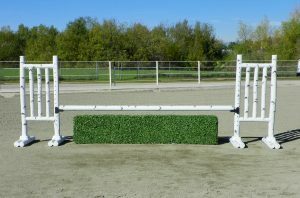 The top rail is 18″ high, 24″ when flowers are added. Available with or without flowers.